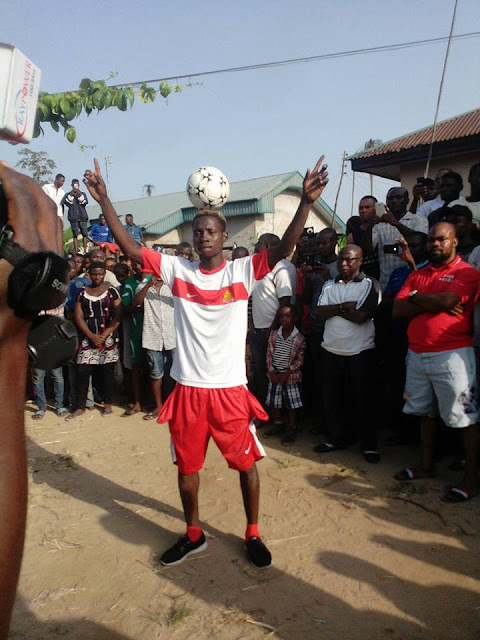 Tonye Solomon is really good at breaking records, and he has just done another one. 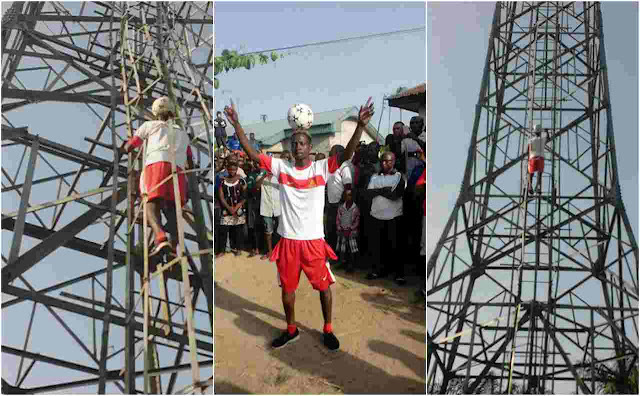 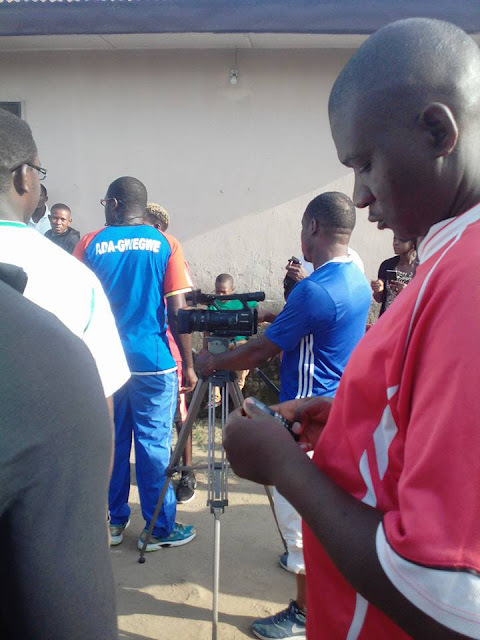 The footballer from Okordia/zarama in Yenagoa local government area of Bayelsa State, who came to limelight and entered the 'Guinness Book Of Records' after he walked 52km with a football balanced on his head, has added another feather to his cap. 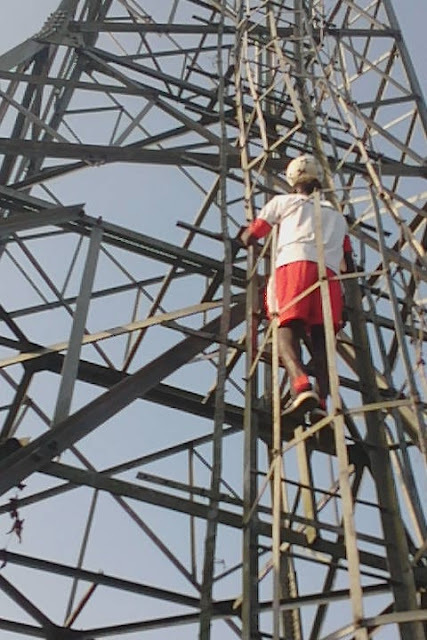 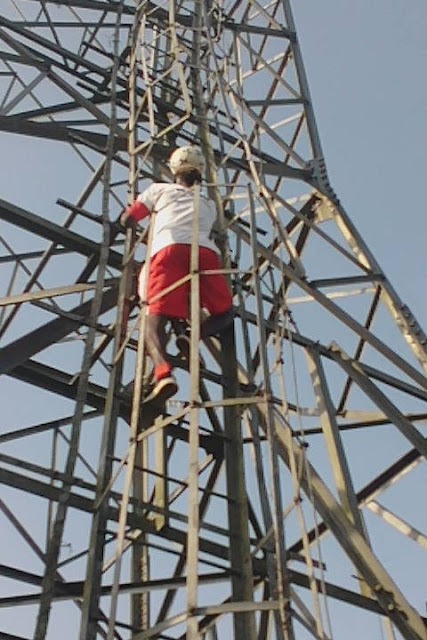 Tonye climbed a 130ft mast with a ball balanced on his head. 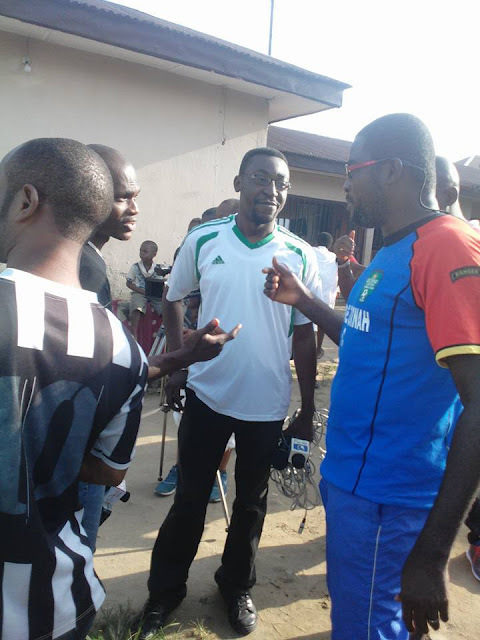 This took place at Akienpai school road Yenagoa.